December has arrived and the holiday spirit is in full force. 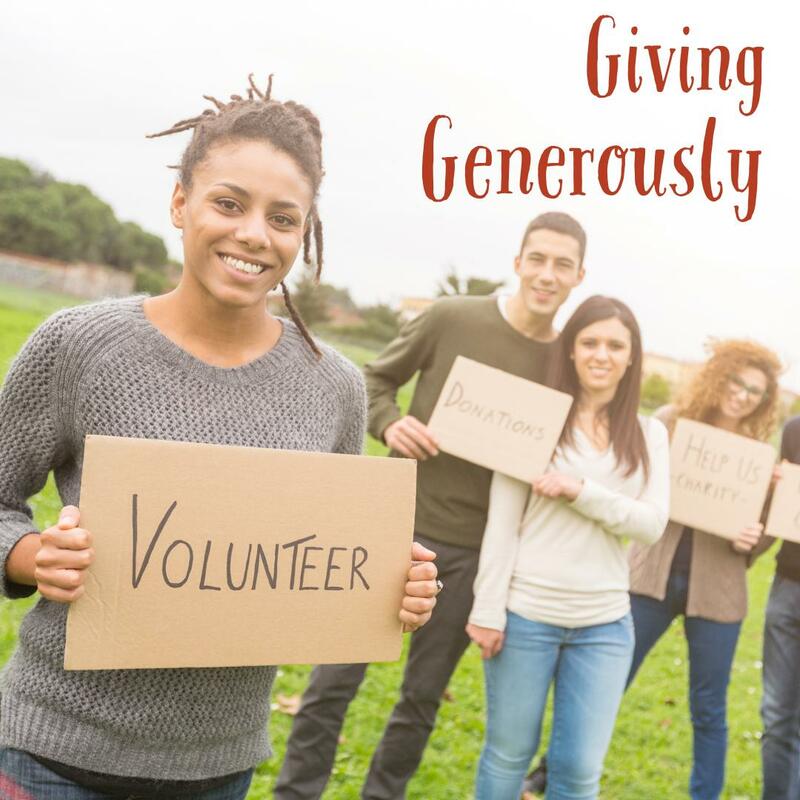 Many people find themselves giving generously during this season. It might be giving gifts to family & loved ones, giving financially to a church or a mission-based organization, or offering time by volunteering at a soup kitchen, for example. The month of December has been shown to be the most expensive month of the entire year. I’m going say something you may not hear often from an advisor: go ahead and spend/give some money, wisely. Here are some thoughts that hopefully convey that giving generously can be a really good thing. Have a plan. Giving generously doesn’t mean to give outside of your means. There are plenty of articles that Google can help you find with money-saving, budgeting, and planning tips. Here are three examples: saving money during the holidays, making a holiday budget, and planning for the holidays. Let’s be honest, shopping for gifts can be stressful! Whether it is fighting crowds at the mall, worrying about a few negative reviews of an item you’re considering on Amazon, or over-analyzing if someone will actually like your gift or not, let’s remember that this is a time to celebrate generosity and prioritize others before ourselves. Even though gifts may feel like an obligation, don’t forget that you are choosing to show that you love or care for someone by giving a gift. Giving gifts has been shown to increase happiness and can actually improve your health. Many times giving isn’t in the form of a physical present. It comes in the form of giving your resources (money) towards a cause or an organization. The thought is this: if all of your needs are already met, someone else could better utilize your money for the greater good rather than being spent on personal desires. Find a cause that is relevant to you and consider increasing your financial gifts. An organization needing funds might be right in front of you; take a look at groups where you are already volunteering your time because they probably could benefit from a financial donation as well. There are many reasons for donating financially, including the benefit to your community, outlined in this article. I don’t believe it should be the sole reason for giving charitably, but there may be a tax benefit from donating. Giving your time can also greatly impact the organizations that you support and the community. Non-profits will be happy to put you to work! In some cases, organizations have the funds but need the feet on the street to accomplish their mission. It is easy to get inspired during the holiday season and volunteer for a day (which is a good thing), but see if you can get connected with a volunteer opportunity that allows you to put in some time on a recurring basis. The consistency can greatly benefit the organization but also benefit you as well. As mentioned, giving can occur in a variety of forms: physical gifts, financial donations, and volunteering your time. I’m not aware of an “optimal” formula that directs the amount of each type of giving you need to contribute to achieve maximum benefits, but there seems to be plenty of evidence that shows that all three of these things will positively impact your community, those around you, and lastly - it can have a profound effect on your life. Most people look at my industry and think of planning and investing for personal financial goals. Although important, let’s not forget about another important piece of managing finances: giving your resources to others that can better put your money to work for the community at large than you could on your own.